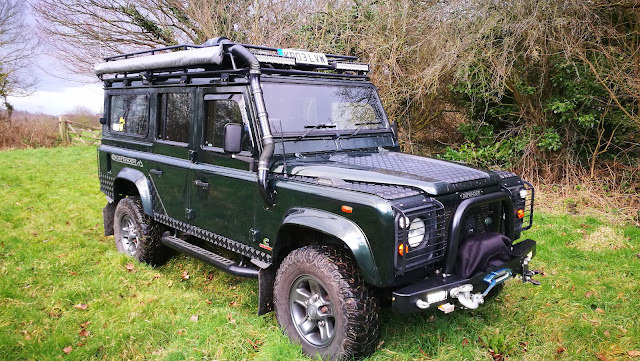 A Very rare opportunity to own one of the tidiest Defender 110 CSW with the most sought after Cummins 5.9 litre 6BTA engine installs. Converted from a TD5 to a Cummins in 2017 by my brother and myself to a very high standard. 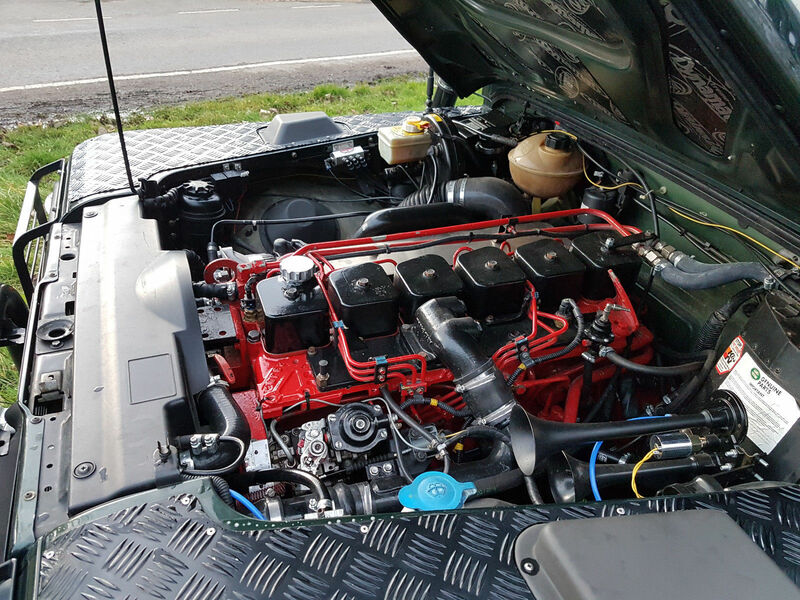 The Cummins is running with a refurbished VE pump, 180hp injectors, refurbished HX35W and allisport intercooler. This is coupled to a ZF S5-42 gearbox and a 1:1 transfer box so it still retains 4WD. The Hi/Lo and Diff lock selectors have been replaced with air solenoids, controlled electronically from in the cab. Clutch is HD1 from Clutchfix with upgraded pressure plate and utilises the Air assist from the original truck set up. Custom props with HD UJ's were installed due to the length changes. The rear diff also incorporates the Ashcroft Limited slip Diff. All this is finished off with standard Defender Boost Alloys, refurbished in Gun metal grey with Cooper STT tyres. 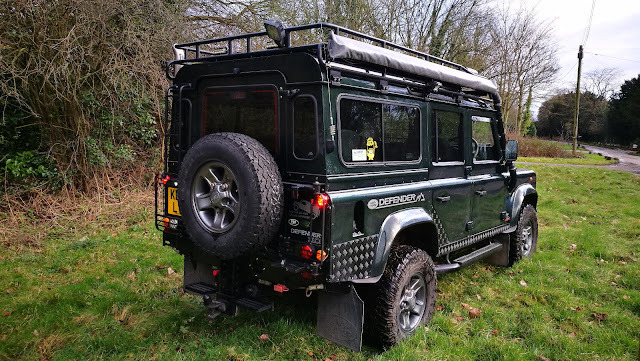 Front HD winch bumper equipped with a very fast Superwinch 9.5iSR with synthetic rope and neoprene cover, all protected with a Heavy duty A bar. The exhaust is custom made 3 inch stainless from turbo to rear, finished with a 3" stack to the N/S Rear, no silencers. Body work is in overall good condition for the age and has the heavy protected look from the 3mm black chequer plate kit. 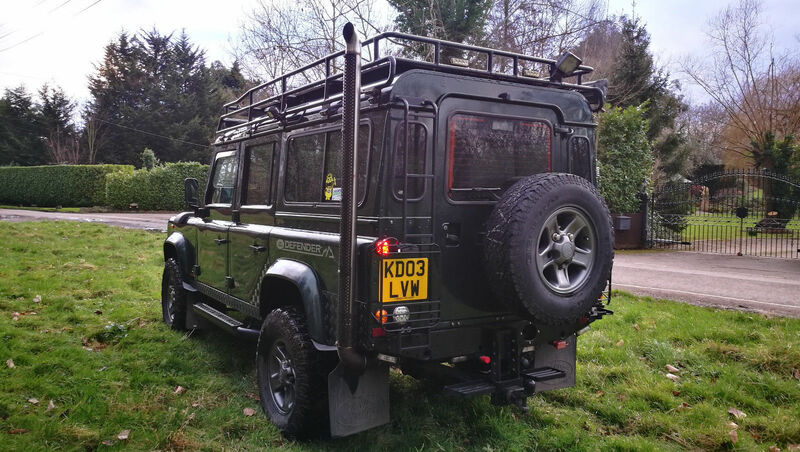 With genuine Land Rover roof rack (Lined with a full sheet of buffalo board), ladder, light guards front and rear. LED headlight bulbs and crystal lenses give a standard look whilst providing a much greater output. LED side, indicator, brake, reverse and fog lights all update the look. LED light bars mounted to the roof rack give endless uses no matter what situation you find yourself in. (2 Front large, 1 each side & 1 Rear). 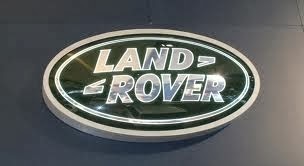 Led beacons fitted to the front and rear assist in any on road recovery situations. A air line is supplied from the on board air system to the rear cross member and is remotely switched on from the cab. Front and rear anderson plugs allow for quick connection of 12V jump leads and equipment. Dixon bate tow bar allows for adjustment of towing height to suit any trailer. Side awning and extension provided. CB aerial wired to a plug to the cubby box should it be required. The interior benefits from upgraded XS half leather seats to the front and middle row. The fronts also heated. 2 seats have been removed in the boot to accommodate storage boxes but the seats will come with the sale. Cup holders provided to the rear of the cubby box for middle row passengers. New custom tunnel, shifter and switch panel. LED interior lights front and rear. DAB radio with aux in and USB. Upgraded Speakers. 3 extra gauges provided to monitor air pressure, boost and RPM. 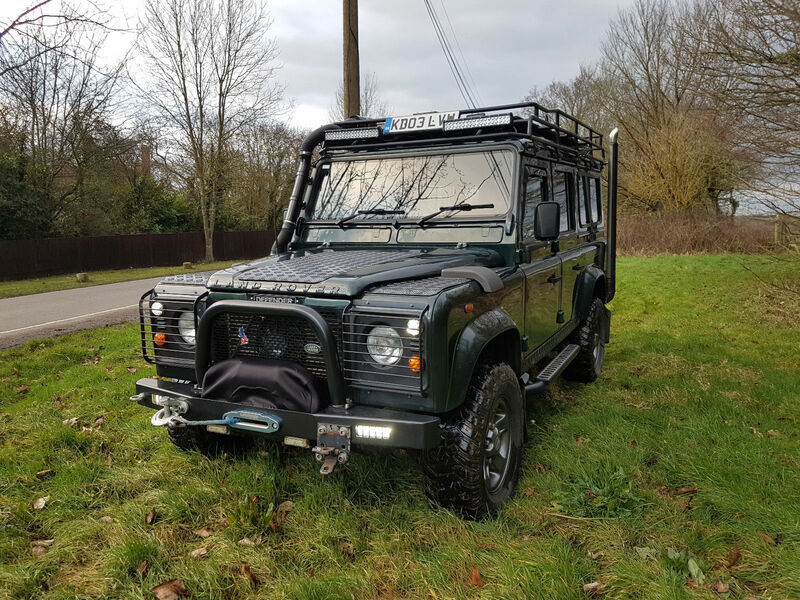 Not included in sale but may be pictured: Nato hitch & socket, Tracker, Dash Cam, Tools, Tool bags etc, Steering lock. Will need time to remove these parts once sale agreed. Last serviced 01/2018 when turbo was fitted. All oils changed and filters.